Every cell in our bodies stores and emits electricity. Every breath we take and every muscle we move involves electrical activity. Our memories, feelings, emotions and thoughts are also patterns of tiny electrical impulses. The body’s energy systems all emit electromagnetic energy. Body Vibes is a vibrational energy disc designed to help people achieve harmonic homeostasis. Body Vibes contain frequencies believed to have various harmonizing effects on human bodies. Of course, not all human bodies are the same, so the effects may be different for each person. Through a proprietary technology, frequencies are recorded, condensed, and stored within the sticker, in much the same way that you would save a file to your computer’s hard drive. When the sticker is properly applied to your skin, it begins broadcasting the stored frequencies, which may influence the cells in your body. This interchange of frequencies is believed to have balancing effects on particular systems within the body. and intelligent. To live a long and healthy life you need to keep your systems vibrating at high levels. Body Vibes smart stickers are an energy restoration tool to be used as part of a healthy lifestyle. Key Placements: For best results, Body Vibes may be placed on your left shoulder, upper back, upper left arm and chest. For those more sensitive to changes in their homeostasis, the recommended placement is inside the lower arm above the wrist or on the right side of the body. The exact placement of the Body Vibes may vary for each individual user. Optimize Results: Drink at least eight 8-ounce glasses of water per day, as it increases the body's natural conductivity. 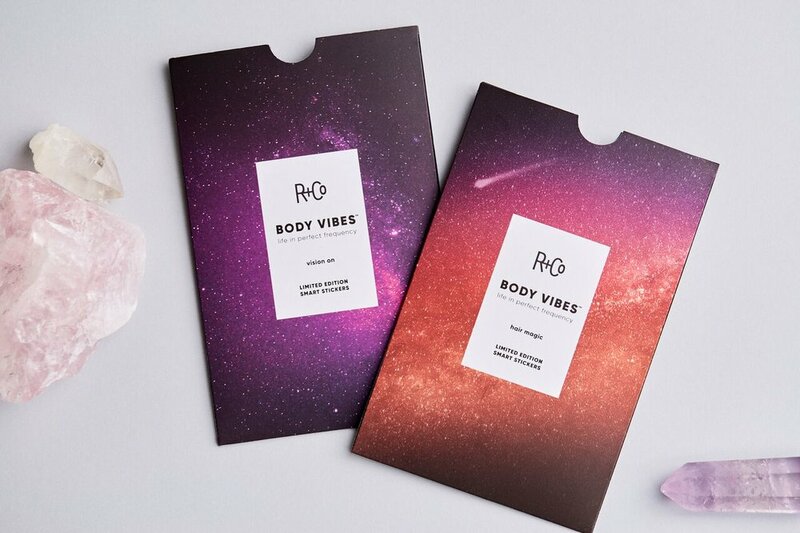 "Body Vibes have become a major obsession around Goop HQ." "Skin Worship's Leslie Kritzer and Madison DeClercq introduced us to their line of 'smart frequency stickers' and we've been hooked ever since." 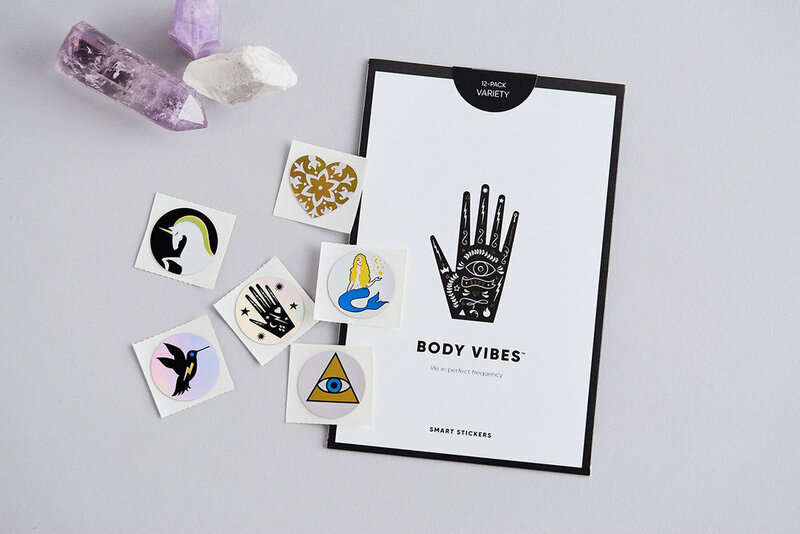 "My new favorite accessory, Body Vibes smart stickers."